Did you know that in the UK, one person develops dementia every THREE Minutes. That’s an incredibly scary statistic, but it’s also one that begs the question – What action will you take this Dementia Week? However you chose to support this cause is appreciated because small actions can make a big impact. There are lots of ways to get involved, and people all around the UK are being urged to come together and take action, big – or small, to raise awareness and improve the everyday lives of those people who are affected by dementia. Make a donation. A simple gesture, but by making a donation you can help Alzheimer’s Society fund vital research and continue to provide valuable support. Host a quiz. Sign up online and team up through the Alzheimer’s Society website https://www.alzheimers.org.uk/ and challenge dementia by taking on their action packed quiz. Why not become a ‘dementia friend’ and read the guides on how to make local businesses and groups’ dementia friendly. Get involved in Kick Off 4 Dementia that takes place at Hawcoat Park on Saturday b26th May. Kick Off 4 Dementia will feature top-flight football players, including ex-Manchester United defender David May, as well as stars from reality shows The Apprentice and Gogglebox, as well as entertainment from Britain’s Got Talent finalists Boogie Storm. 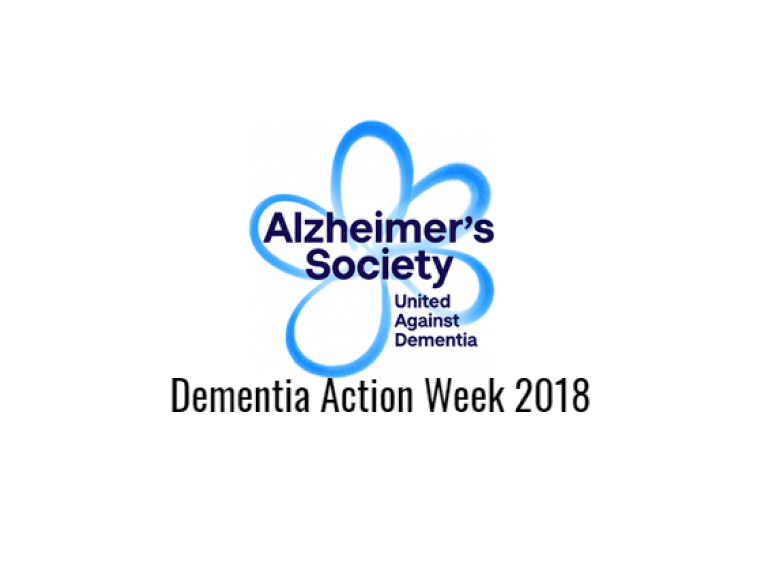 Please do what you can to support Dementia Action Week. Help improve lives and do your bit to help make a huge difference.